To re-design a a website for an existing company keeping in mind usability and demographics to support and drive design. 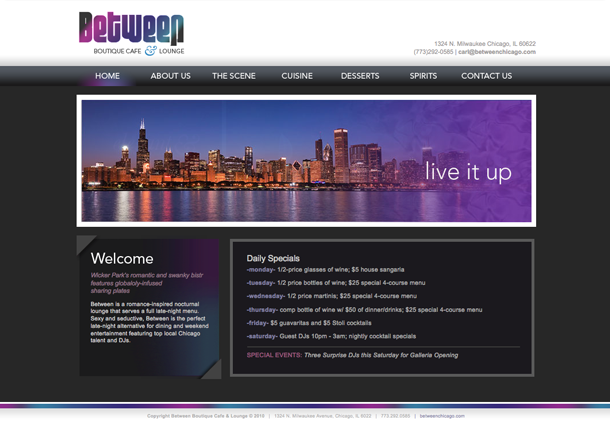 This a promotional business website for Between Boutique Cafe & Lounge, one of Wicker Park’s nocturnal hotspots. 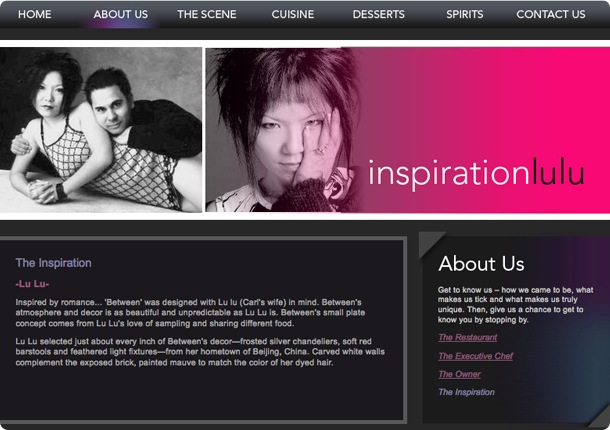 It is a site geared towards people who like fine dining and specialty drinks in a unique setting. 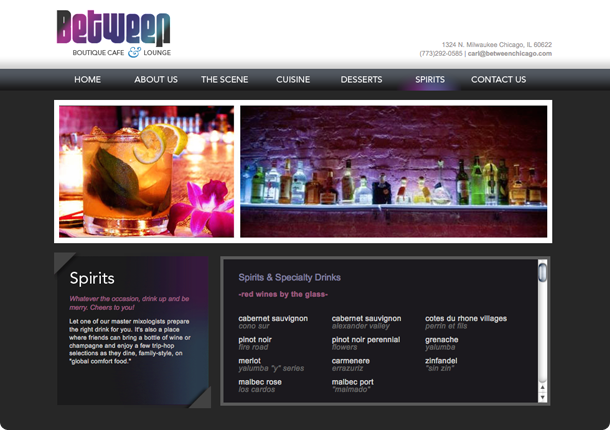 The website’s design is to capture the modernity, energy and nightlife for this bar/restaurant. This site also captures and features what makes this place exceptionally unique – the vision and inspiration of Carl Anderson and his wife Lulu.